These terms and conditions express the full obligations of the parties. In this sense, the consumer is deemed to accept unreservedly all the conditions provided in these general conditions. No general or specific conditions contained in the documents sent or delivered by the consumer may be incorporated herein, provided that these documents are incompatible with these general conditions. The purpose of these terms and conditions is to define the rights and obligations of the parties in connection with the online sale of goods and services offered by gateninety.com to the consumer. This contract is made up of the following contractual documents, presented in descending hierarchical order: these general conditions; purchase order. In the event of any inconsistency between the conditions contained in documents of different rank, the conditions with higher rank shall prevail. These general terms and conditions come into force on the date of signature of the order form. These general conditions are concluded for the duration necessary for the supply of the goods and services subscribed, until the end of the guarantees due by gateninety.com. The “double click” of the consumer under the purchase order constitutes an electronic signature which has, between the parties, the same value as a handwritten signature. The contractual information will be confirmed by e-mail at the latest at the time of delivery or, failing that, at the address indicated by the consumer within the order form. Computerized records kept in the computer systems of gateninety.com under reasonable conditions of safety shall be regarded as evidence of communications, orders and payments between the parties. The archiving of purchase orders and invoices is carried out on a reliable and durable medium that can be produced as proof. 8-a: gateninety.com presents on its website the products to be sold with the necessary characteristics that make it possible to comply with Article L 111-1 of the Consumer Code, which provides the possibility for the potential consumer to know before buying the essential characteristics of the products he wishes to buy. 8-b: The offers presented by gateninety.com are valid only within the limit of available stocks. Prices are quoted in Euros and are valid only on the date of the sending of the order form by the consumer. They do not take account of the delivery costs, invoiced in addition, and indicated before the validation of the order. The prices take into account the VAT applicable on the day of the order and any change of the applicable VAT rate will be automatically reflected on the price of the products of the online shop. Payment of the full price must be made at the time of the order. At no time may the sums paid be considered as deposits or down payments. To complete its order, the consumer has, all the payment methods referred to in the order form. The consumer guarantees gateninety.com that he has the necessary authorizations to use the method of payment chosen by him, when validating the order form. Gateninety.com reserves the right to suspend any order and delivery in case of refusal of payment authorization by credit card from the official credit institutions or in case of non payment. Gateninety.com reserves the right to refuse to make a delivery or to honor an order from a consumer who has not paid in full or in part for a previous order or with which a payment dispute is in progress, administration. Gateninety.com has set up an order verification process to ensure that no one else uses the bank details of another person without their knowledge. As part of this verification, the client will be asked to fax a copy of an identity document and proof of address to gateninety.com. The order will be validated only after receipt and verification by our services of the documents sent. The order will be executed at the latest within 3 days from the day following the day on which the consumer placed his order. In case of unavailability of the ordered product, in particular by our suppliers, the consumer will be informed as soon as possible and will be able to cancel his order. The consumer will then have the choice to request either the refund of the sums paid within 30 days at the latest of their payment, or the exchange of the product. The “pre-order” products must be paid at the time of the order. Especially, as a “pre-order” price is given at that time. The “pre-order” items are willing to be sent at the date indicated in the “pre-order” product description. 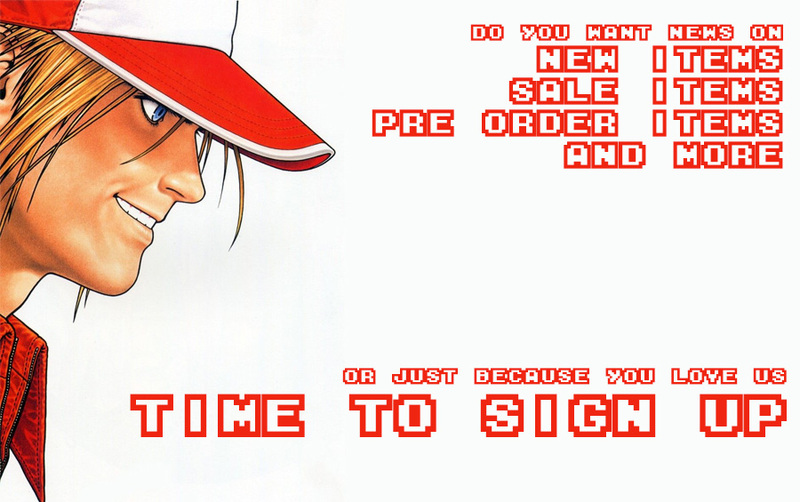 If any other items are ordered and paid at the same time than “pre-order”, they will be send at the same time than “pre-order” products. If the customer wants to have the products in stock delivered as per the normal delivery timeframe, they should place a different order. The products are delivered to the address indicated by the consumer on the order form. The consumer is obliged to check the condition of the packaging on delivery and to report the damages due to the carrier on the delivery note, as well as to gateninety.com, within one week. concerning the shipping, we mainly work with Bpost. As soon as we proceed with a shipment, you immediately receive an email informing you. To reduce transport costs to the minimum, all products of low or medium size are shipped by a BPOST service. Besides being economical, this service delivers in 48 hours throughout Belgium and offers you the possibility of recovering the products ordered at your post office near the delivery address in case of absence at the delivery time. In practical terms, if you are absent on the day of delivery, your postman will leave a notice in your mailbox, which will allow you to withdraw your parcel from your post office during business hours, within 15 days. BPOST is a very reliable service. However, as in any shipment, there may be a delay in delivery or the product may be lost. In case of delayed delivery we ask you to notify us of this delay by calling us by telephone or by sending us an e-mail. We will then contact BPOST to start an investigation. A BPOST inquiry may take up to 21 days from the start date of the investigation. If during this period the product is found, it will be re-routed immediately to your home (the majority of cases). If, however, the product is not found at the end of the 21-day investigation period, BPOST considers the package as lost. We can not be held responsible for this loss (this is incumbent on the Post Office). Contact customer service if necessary. 14-a: The consumer must formulate at gateninety.com the day of the delivery or at the latest the first working day following the delivery, any complaint of error of delivery and / or non-conformity of products or quality in relation to the indications on the order form. Any claims made beyond this deadline will be rejected. 14-b: Formulation of this complaint with gateninety.com can be made: – priority by telephone on 0496 10 82 12 from Monday to Friday from 8 am to 6 pm, – by logging on our site in the “follow Your order “” where, after entering your customer number, you will be able to ask us your question through the menu contact us specifying well the reference of the order. 14-c: Any complaint not made in the rules defined above and in the time allowed will not be taken into account and will release gateninety.com from any responsibility towards the consumer. 14-d: upon receipt of the complaint, gateninety.com will assign an exchange number of the product(s) concerned and communicate it by e-mail, fax or telephone to the consumer. The exchange of a product can only take place after the attribution to the consumer of an exchange number according to the approach presented above. To be accepted, any return must be notified in advance to the Customer Service of gateninety.com. Pursuant to Article 4 of Decree No. 78-464 of 24 March 1978, the conditions shall not deprive the consumer of the legal guarantee which obliges the professional seller to guarantee him against all consequences of the hidden defects of the products sold . The consumer is expressly informed that gateninety.com is not the producer of the products presented within the website, within the meaning of the law n ° 98-389 of May 19, 1998 and relating to the responsibility for the defective products. Consequently, in the event of damage caused to a person or property by a defect in the product, only the consumer’s liability can be sought by the consumer on the basis of the information on the packaging of the product. The terms and duration of the guarantee are given on the product sheets. Gateninety.com may, upon request, inform the consumer of the availability of spare parts of the products offered and the terms and conditions for obtaining them. The consumer has a period of 10 working days to return, at his own expense, products that do not suit him. This period runs from the day of delivery of the consumer’s order. If this period expires on a Saturday, a Sunday or a public holiday, it is extended until the next working day. All returns must be notified in advance to gateninety.com Customer Service: – first by phone at 0496 10 82 12 from Monday to Friday from 8 am to 6 pm, – by logging onto our site in the “follow your order” Where, after entering your customer number, you will be able to get your order number. The product must be returned by La Poste to Gate Ninety Allée Willy Chaufoureau 3 1400 Nivelles Belgium. Products such as GD-Rom, Marquee, Stickers, must not have been unsealed, so that the consumer can benefit from the right of withdrawal. Only the products returned in their entirety, in their original packaging complete and intact, and in perfect condition of resale will be taken back. Any product that has been damaged, or whose original packaging has been damaged, will not be refunded or exchanged. This right of withdrawal is exercised without penalty, except for the costs of return. In the event of the exercise of the right of withdrawal, the consumer has the choice to ask either the refund of the sums paid or the exchange of the product. In the case of an exchange, the re-shipment will be at the expense of the consumer. In the event of exercise of the right of withdrawal, gateninety.com will make every effort to refund the consumer within 15 days. However, given the technical nature of the products sold, this period may be extended to 30 days, in particular when the product needs a technical verification (see products to be tested beforehand). The consumer will then be refunded by crediting his / her bank account (secure transaction) in case of payment by credit card, or by transfer in other cases. The right to use the software of gateninety.com, as well as those distributed by it, is granted to the consumer on a non-exclusive, personal and non-transferable basis, in accordance with the Intellectual Property Code. However, under Article L122-6-1 of this Code, the consumer has a right of reproduction exclusively for the making of a back-up copy, where this is necessary to preserve the use of the software. In any event, the author of the software retains a right of ownership over his work, which the consumer undertakes to respect. Neither party shall have failed to fulfill its contractual obligations to the extent that their performance is delayed, hindered or prevented by unforeseeable circumstances or force majeure. Any event or circumstance which is irresistible, external to the parties, unforeseeable, unavoidable, independent of the will of the parties and which can not be prevented by the parties, in spite of all reasonable efforts, shall be regarded as fortuitous or force majeure. The party affected by such circumstances shall notify the other party within ten working days of the date on which it becomes aware of it. In the event of force majeure, the two parties shall, within a period of one month, approach each other to examine the impact of the event and to agree on the conditions under which the performance of the contract will be continued. If the case of force majeure has a duration of more than three months, these general conditions may be terminated by the impacted party. Expressly, force majeure or unforeseeable circumstances, in addition to those usually adopted by the jurisprudence of Belgian Courts and Courts, shall be regarded as blocking means of transport or supplies, earthquakes, fires, storms, floods, lightning; The termination of the telecommunication networks or difficulties specific to the telecommunication networks external to the customers. If any provision of these Terms and Conditions is held to be invalid or declared to be invalid or unenforceable pursuant to any law, regulation or as a result of a final decision of a court of competent jurisdiction, And their scope. The fact that one of the parties does not rely on a breach by the other party of any of the obligations referred to in these general conditions can not be interpreted in the future as a waiver of the obligation in question. These general terms and conditions are subject to Belgian laws. This is so for the rules of funds as for the rules of form. In the event of a dispute or complaint, the consumer will address in priority to gateninety.com to obtain an amicable solution. In a second step and in case of recourse, the consumer can file a complaint with, via its dedicated dialog.